Welcome to another edition of WEEKEND ROUNDUP, where we discuss this weekends box office results. 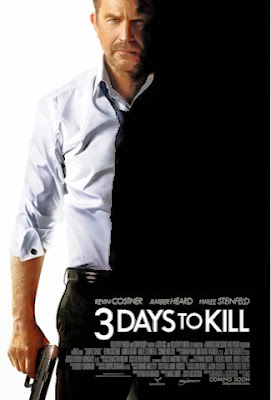 The TOP 3 this weekend were The LEGO Movie, 3 Days To Kill, and Pompeii. After last weeks impressive holiday numbers, it's not surprising that the grosses this week have gone down. But even though there was a drop, the overall numbers were still decent for February. And on a side note, the Academy Award nominated Frozen has come even closer to breaking $1 billion. It's now less than $20 million away from reaching the Billion Dollar Club, and just over $80 million away for becoming the highest grossing animated film of all time. 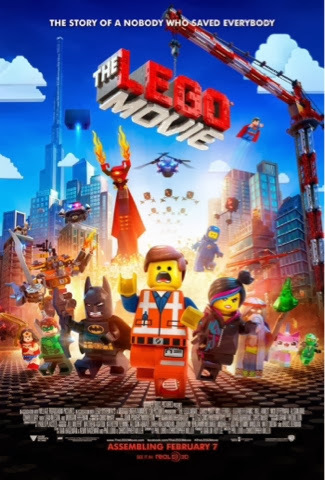 In its third week, the wonderfully entertaining The LEGO Movie has dominated the box office yet again, claiming the top spot this week. It has brought in $31.3 million, a modest 37.2% drop from last weekend's total. This puts The LEGO Movie's domestic total at $183 million and it's worldwide total at $275.5 million. Kevin Costner's newest action film, 3 Days To Kill, had a modest opening this week, bringing in $12.2 million on a low $28 million production budget. This is a better opening weekend and a much better opening-to-budget ratio than his last film, Jack Ryan: Shadow Recruit. Hopefully, this film won't suffer the same fate of such low box office draws. 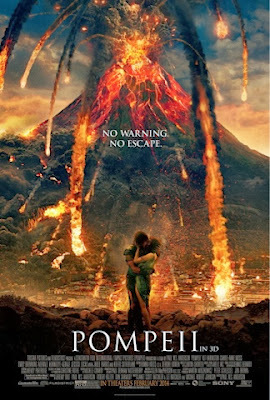 Even though Pompeii managed to take the #3 spot this week, it's opening was pretty poor. Bringing in only $10.3 million on a $100 million production budget, this romance/disaster film has definitely underperformed. This is a small fraction of what many disaster movies bring in, such as Twister ($41.1 million), 2012 ($65.2 million), and The Day After Tomorrow ($68.7 million). I think this has a lot to do with the romance element of the film, which most likely turned off some people. Join us next week for another edition to WEEKEND ROUNDUP. Which movies will be on top? Can The LEGO Movie continue to dominate or will a newcomer take the throne? Check out our next edition of WEEKEND ROUNDUP for the scoop! Make sure to check us out on Facebook (Previously Untitled) and follow us on Twitter (@PU_FilmBlog)!